It's easy to create customizable adventure scenes that pop! 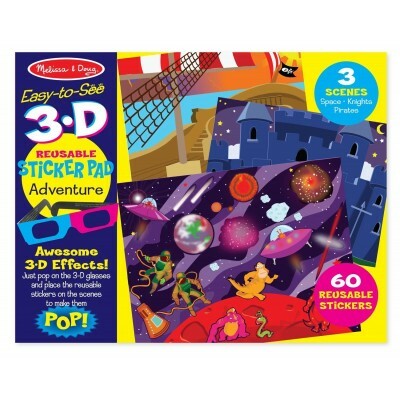 Use the included 3-D glasses to transform the three full-color pages (pirate ship, knight's castle, and space) into multi-dimensional scenes. The reusable stickers in this extra-large activity pad cling securely to the sturdy pages, and then peel off easily whenever kids are ready to make a change. 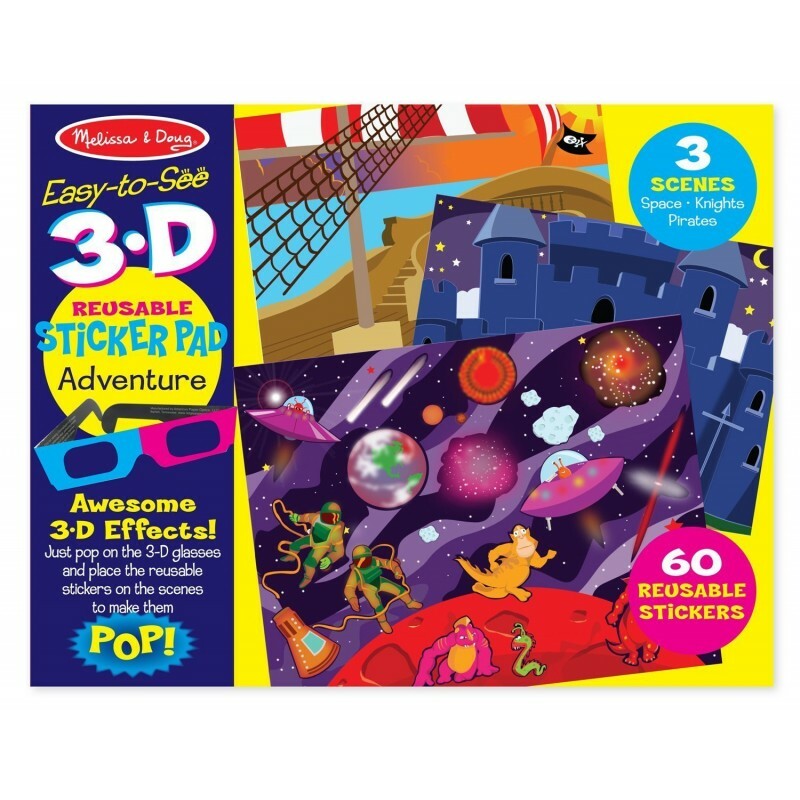 Add details and characters on each page using the 110 coordinated stickers! The reusable stickers and unique viewing experience promotes fine motor skills and creative play. Dimensions: 11" x 14" x 0.25"